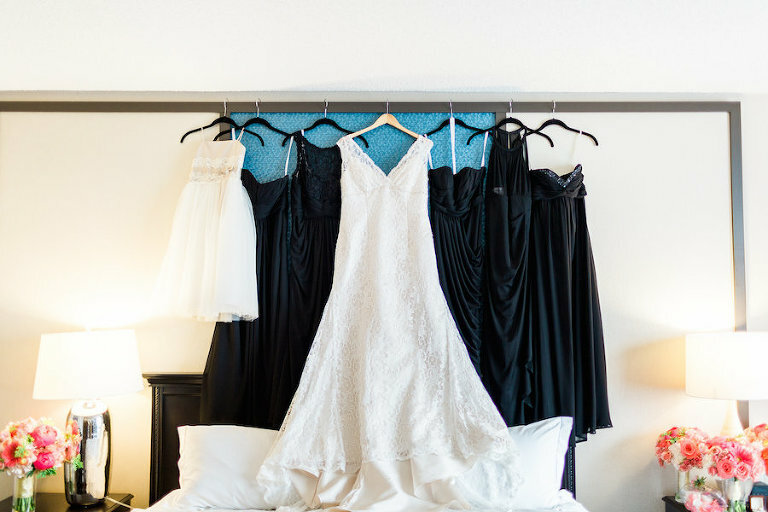 Chelsea and Dan’s downtown St. Pete wedding reflected their contemporary style through their venue and decor selections. The Trinity couple appreciated the scenery and activities the St. Petersburg area offered their wedding guests. 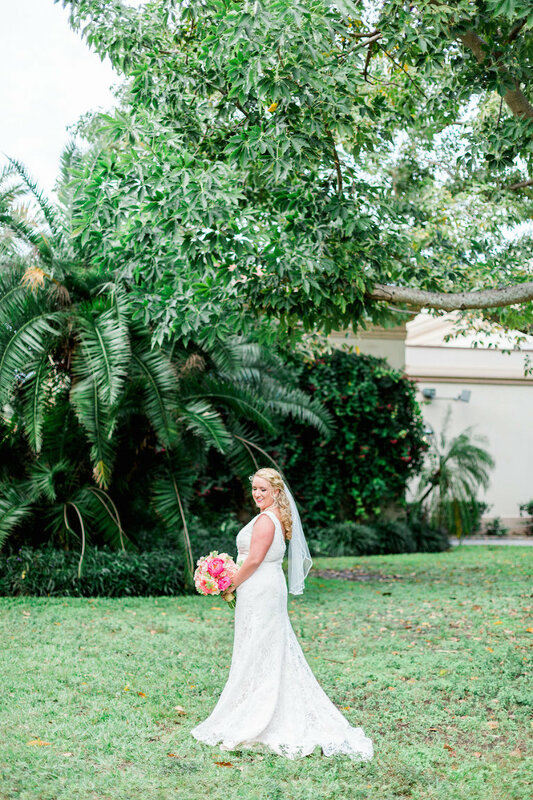 To complement their modern wedding theme, the bride and groom searched for a unique downtown St. Pete wedding venue. The pair continued their contemporary style by choosing a non-traditional wedding menu. Looking back, one of Chelsea’s most memorable moments took place at the ceremony. Dan and I had just bought our new house and moved in about three weeks prior. 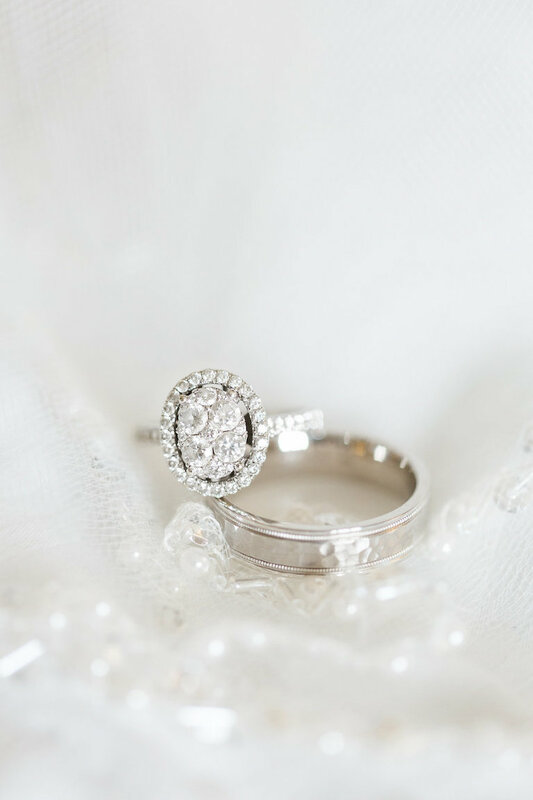 I came home one day and there were candles lit and a cake on the counter that read, “Will You Marry Me?” Dan was around the corner on one knee ready to propose. I wanted something different from a beach, country club or a ranch wedding. Some of my guests go to a handful of weddings in a year’s time, and I wanted to provide something that would give them a different scenery. I also wanted something that was more like a blank canvas, where I could show off the design of our wedding. NOVA 535 was exactly that. NOVA 535 provided me with a space I could make my own. They provided the beautiful, unique interior brick walls, double staircase, two-story party space and amazing outdoor courtyard, while I was able to add all of my own decorations and floral. Guests were extremely impressed with the character of this venue. They provided great service before and during the wedding. Our coordinator Ruby was great to work with. I, just like every girl planning her wedding, was in love with Pinterest and the ideas I could find on there. I wanted something unique and colors that weren’t used as often. I found a wedding online that inspired me, with colors that were black and gold and flowers that added a pop of color. I loved the uniqueness of the modern theme. 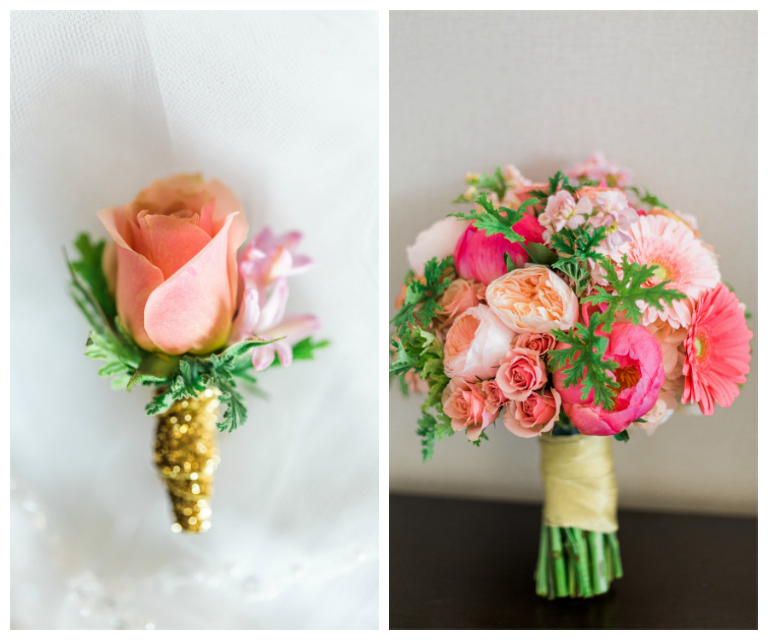 Black and gold with coral, blush, and ivory florals. Having black as a background color, guests were amazed at how beautiful the flowers were, and they really added a lot of personality to our wedding. What was your menu inspiration, and what did you look for in a caterer? For the menu, I wanted something different than the good, old-fashioned plated dinner. I chose foods stations so that people could socialize while eating. Olympia Catering had so much to choose from and great prices. They did a great job the day of our wedding! My number one piece of advice is to sit back and have fun during the planning process, as well as the wedding. Planning can be super stressful, but have fun with it. You won’t get a chance to do it again.